Many schools are teaching their students about worm composting and worm farming. Kids are encouraging their parents to set-up worm farms at home. This recycling project is a great one that parents and children can do together. Worm farming is simple to start, easy to maintain and it can be a very gratifying project for all. 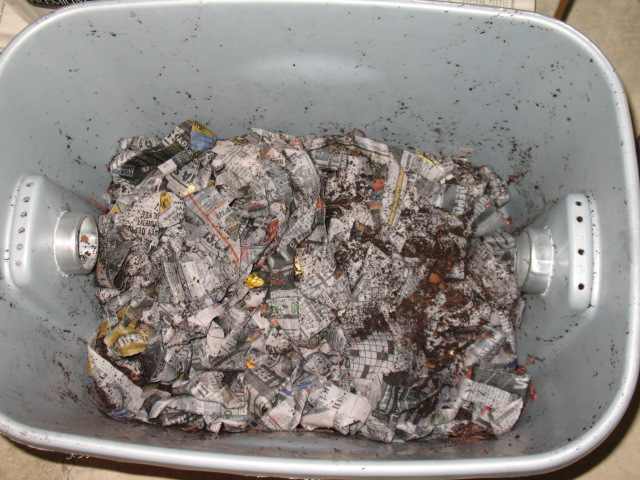 Worm farming, unlike outdoor composting, does not require much space or work. 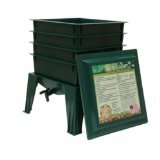 The worm bin can easily be kept in a garage, basement or kitchen. The worm bin needs to be stored in a dark place that is between 50°-80°F, and ideally, 72°-75°F. To start a worn farm use a large plastic bin with a lid. Drill ¼” holes in the bottom and top of the bin. Worms like it dark, so make sure to use a nontransparent container. There are also commercial worm bins available for sale that are all ready to use. 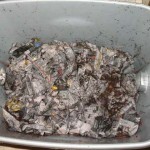 The next step is to shred newspaper (black and white print only) and fill the worm bin about half way. Dampen the paper and squeeze out any excess water. Add a handful of dirt, a few kitchen scraps, the red wiggler worms (start with a ½ to 1 pound of red wigglers) and cover with another layer of moist shredded newspaper. Don’t use earthworms! The red wigglers are your best worms for composting household scraps. You have just completed your worm farm. To maintain your worm farm feed the worms every few days. Foods that are not the worms’ favorites and should not be given to them are: citrus, spicy foods, meats and dairy products. By eliminating these foods the worms will be content and will not try to escape the bin. The worm bin should have an earthy smell to it. If there are bad odors emanating from the worm composting bin you may be overfeeding the red wigglers or feeding them unsuitable foods, like meat and dairy which will rot in the bin. It’s time now to sit back and let the worms do the work. 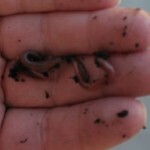 The worm castings will be available in a few months to be used for your plants, gardens and lawns. Then start the whole process over again. Worm farming is not only an interesting project, it is a fun project that the whole family can enjoy. Some people ask, “Why in the world would I want to have a worm farm? There are plenty of other useful farms that sell vegetables, fruits, animals, and eggs. What good is a worm farm?” Well, it’s an understandable reaction. After all, it’s usually the quiet people in society that go unnoticed; so why shouldn’t there be quiet creatures that go unnoticed? People underestimate the value of the worm. It’s true that there are worms that do damage to crops, animals, and people. Worms in your intestinal system are best flushed out. That’s why dogs and cats, even horses and cows receive worm treatments. These worms are taking away nutritional values the animals need to survive. What about the good worms? The first reaction to a worm is, “Ewww, gross.” Well, understanding anything is the key to appreciating it more. 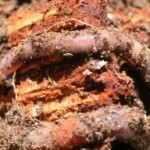 The good worms are not poisonous and have positive benefits that are not readily seen. They’re hard-working little creatures and deserve our respect. So, what are good worms? 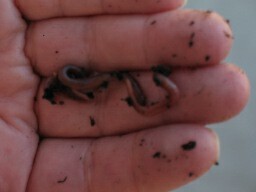 Earthworms, compost worms (red wigglers, blue worms), and fishing worms (night crawlers) are good worms. 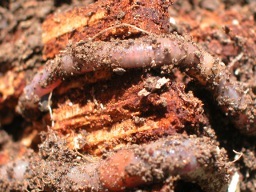 Earthworms are found in rich soil. If your plants are healthy and growing, chances are there are earthworms down there toiling away to help make this happen. Those die-hard fishermen can tell you about the benefits of a good, fat fishing worm! Catfish and bream are two of the types of fish that enjoy worms. 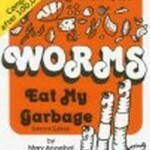 Worms are important for composting. They break down the material and produce a rich compost called vermicast or vermicompost. This compost is an excellent fertilizer. It retains moisture, encourages root growth and is high in the minerals that help plants grow. Here’s one way you can help an earthworm (I know you want to)-the next time it rains and you see a worm on the street or sidewalk, gently move it to a grassy area so that it can burrow back into the ground. You can then congratulate yourself on being a lifesaver! So now you know why you should create a worm farm. Worms are a vital part of our ecosystem and they do deserve our appreciation and respect. If you want to raise worms as a business then you need to raise worms that can be used for fishing bait, food for birds and reptiles, for composting or those used to help benefit the soil. Worms have no exoskeletons and are not created the same inside as humans and other animals. A worm has one brain and five hearts. Contrary to popular belief, if you cut an earthworm in half you will not get two new worms. If the cut is behind the vital organs the worm will grow a new tail-the other end will die. Earthworms breathe through their skin. They breathe in oxygen and breathe out carbon dioxide. They can’t control their own body temperatures. When they’re in captivity, you must control their environment-especially the temperature and moisture content. Some people grow worm farms for their own personal adventure. Kids use them for pets. Gardeners encourage their growth to maintain healthy crops or flower gardens. They create excellent natural compost and fertilizers! Some people eat worms, although it isn’t something that is a big hit in the United States. Composting is encouraged to help the environment and to reduce the amount of waste that is hauled to landfills daily. Worm farming is one small way to help. Small ways add up to big benefits when enough people join together in their efforts. If you have complaints about the environment, if you’ve thrown away food scraps, newspapers, sticks and grass clippings or leaves, if you want to be involved in a positive way to help, then worm farming may be just the right adventure for you! Night crawlers, red wiggler worms, catalpa worms, and grub worms all make good fishing worms. When feeding worms in your worm bin it is important to remember a few things. Worms love vegetable and fruit scraps. If you cut the scraps into small pieces it will be easier for the worms to eat, but is not required. Do not feed them onions, garlic or peppers-it will only make the worms want to escape! 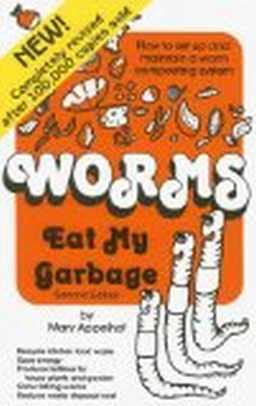 Never feed the worms meat-it takes too long for it to decompose and your worm bin will start to smell. Make sure that when you feed the worms you bury the food. Check out what the other worm farmers are doing. Their prices, shipping methods, growing bins, advertisements may all come in handy for helping you plan your own adventure in worm farming.